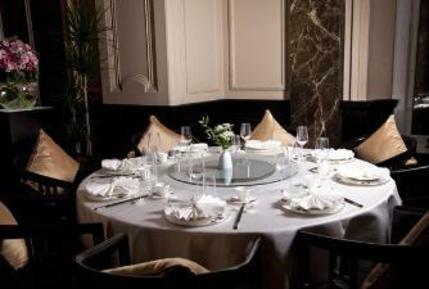 Located in the shadow of Victoria Railway Station, this appealing Chinese restaurant - which opened in December 2010 - aims to live up to its majestic name with a luxurious interior, designed, apparently, around the ancient principles of Feng-shui. Grand Imperial features a strong Hong Kong/Cantonese theme with its menu: the typical fare includes plenty of seafood, dim sum, barbecue and stir fried meat dishes. Either opt for a set menu (between £20 and £30) for a delicious summary of the cuisine on offer or choose your own tastes from the diverse a la carte menu. Grand Imperial gyms, sporting activities, health & beauty and fitness. The best pubs near London Grand Imperial. Grand Imperial clubs, bars, cabaret nights, casinos and interesting nightlife. Where to have your meeting, conference, exhibition, private dining or training course near Grand Imperial. From cheap budget places to stay to luxury 5 star suites see our special offers for Grand Imperial hotels, including DoubleTree by Hilton London - Victoria from 79% off.